The Department of Campus Recreation offers a variety of intramural sports for undergraduate and graduate students, faculty and staff to maintain their competitive edge, remain active, or simply meet new people. Consisting of structured game play between other teams on campus, intramurals are a great way for University members to engage in physical activity while playing the sports they love. Unlike many club sports teams, intramurals do not involve a great commitment, as games take place on campus and scheduled practices are not required. Additionally, registration for intramural sports is absolutely free, making it accessible for everyone active within the university. With gameplay consisting of Men’s, Women’s, Co-ed and Greek leagues, there is a place for everyone in the Intramural Sports program. In order to participate in Pitt Rec Intramural Sports you must first create an account and register at www.imleagues.com; please use your Pitt Email Address when signing up. 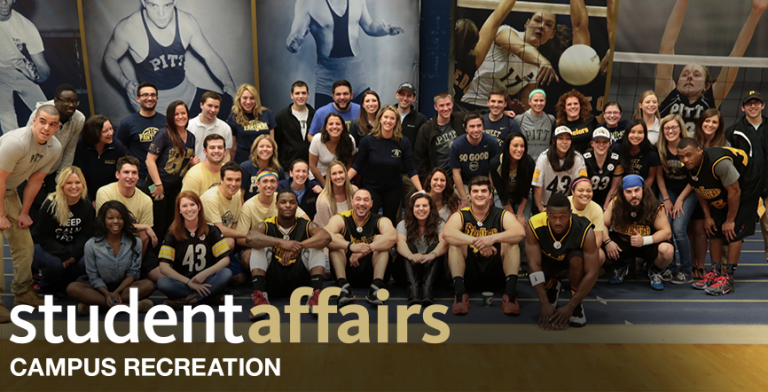 Any eligible participants without a Pitt email, please contact the Intramural Sports office for assistance and approval. If you have already created your account and registered using IMLeagues, then you are ready to either create your own team, join a team, or join as a free agent by signing in with your Pitt Email Address and password at www.imleagues.com/pitt. Check out the Intramural Sports Handbook for Rules and Regulations pertaining to each sport. For further questions regarding the Intramural Sports program contact Bill Wallace, Intramural Sports Coordinator wwallace@pitt.edu.